Impress sellers and show off beautiful photos with customized flyers you can download and print. Your TourFactory account includes access to more than 360 beautiful, templated flyer designs. 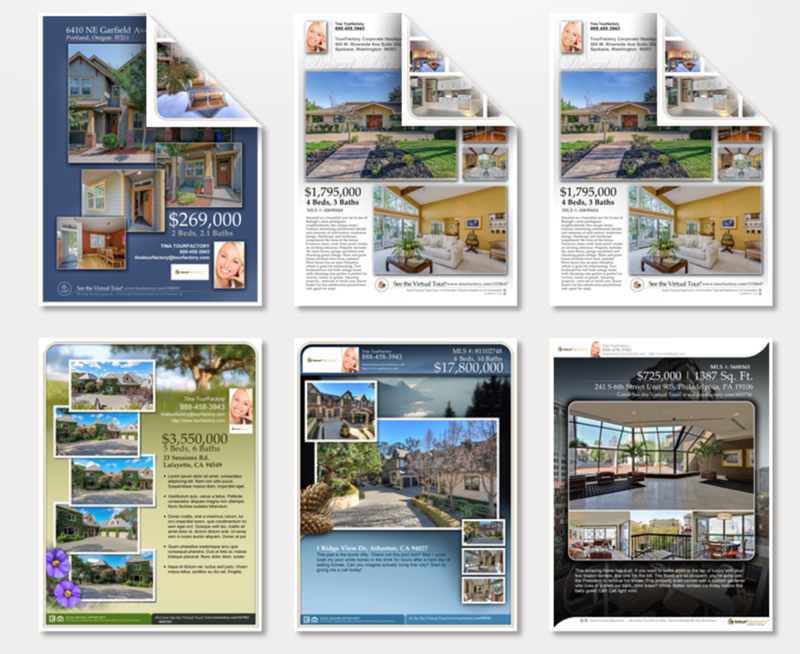 The flyers you create will automatically pull the property information you entered in your TourFactory account to save you time on data entry!Create one or two-sided flyers featuring flattering colors, gorgeous natural backdrops and exceptional layouts.